Channel Gotham's villainous Penguin! 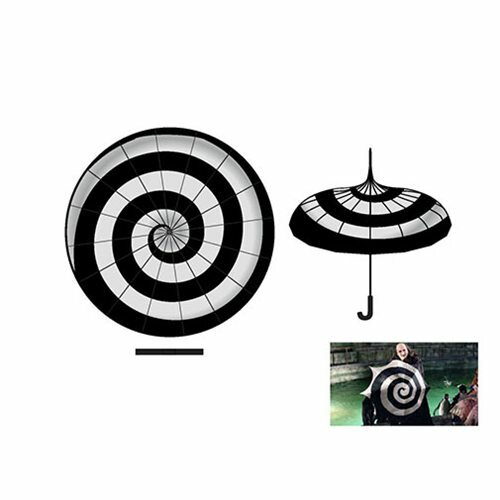 This Batman Penguin Umbrella features a 16-panel parasol design, complete with a J-hook style handle. It measures 33 1/2-inches long x 2-inches in the closed position. When open, the canopy measures approximately 34-inches wide.